Heat oven to 450°F. 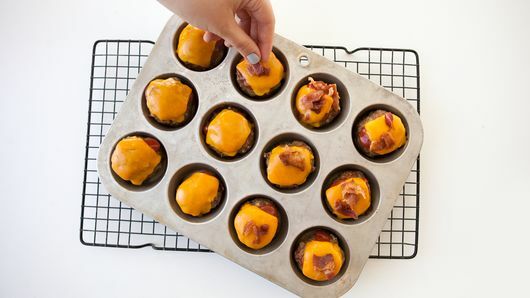 Spray 12 regular-size muffin cups with cooking spray. Reserve 1/4 cup bacon for topping. In large bowl, mix remaining bacon, beef, bread crumbs, milk, egg and pepper until well mixed. Divide mixture among muffin cups (about 1/4 cup each), pressing evenly into cups. Bake 13 to 16 minutes or until meat thermometer inserted in center of loaves reads 160°F. Brush loaves with ketchup. 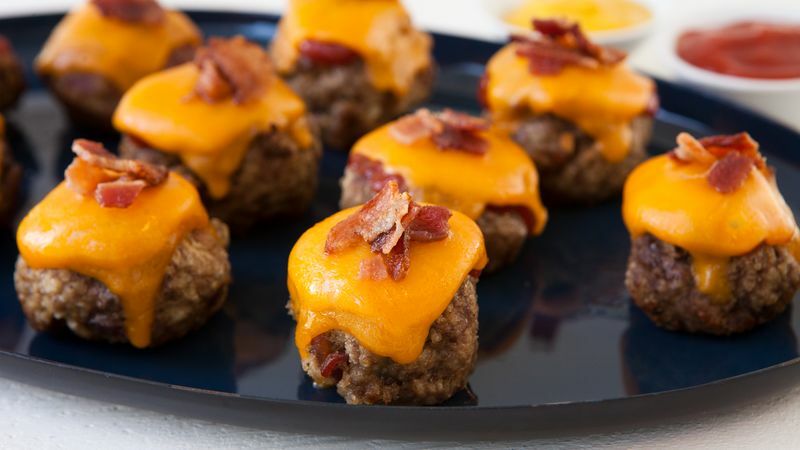 Top each meat loaf with 1 quartered cheese slice. Bake 1 to 2 minutes longer or until cheese just melts. Top with reserved bacon. Need to save some time? Use purchased precooked bacon. 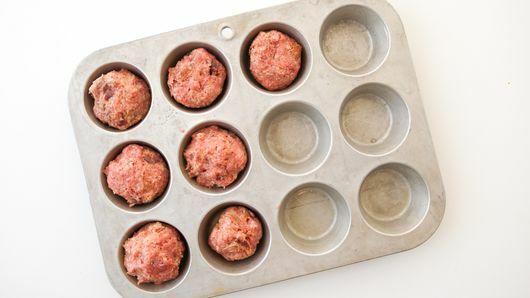 You can make the meat mixture earlier in the day for convenience, and bake later; keep refrigerated.